Video-based timing is very challenging with small, low-power quads inside a metal building. 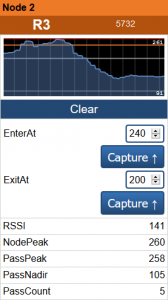 RotorHazard is up to the task with stronger filtering and simpler calibration controls. 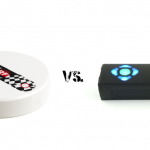 We’ve reviewed and compared a good selection of race timers in the last year or two. While they all have their individual advantages, none of them hit the sweet spot for community-driven race groups that make up so much of our sport. 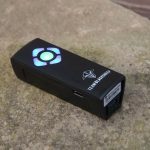 Of those we looked at, one that showed a great deal of promise was the Delta5 Race Timer, not just for its low cost and good feature set—but also for its open-source nature. While the Delta5 brought together a strong baseline platform, it stopped short of being a polished package. A project with the Delta5’s technical base but more features and improved usability would be a valuable asset for these local groups that can’t afford expensive commercial-grade solutions. Now, we’re pleased to introduce RotorHazard. RotorHazard builds on top of the Delta5 platform with a responsive, mobile-friendly user interface and higher-level event management features. Events can now be split into multiple classes so you can run an Open class and a Spec class, Amateur and Pro classes, or whatever you’d like. 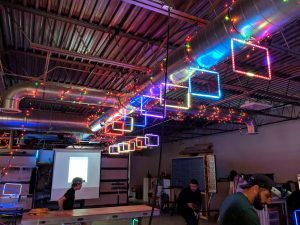 In addition, improvements are being made in how the timing gets done, including better accuracy in how times are recorded and displayed, and more fine-grained control over hardware calibration and tuning. This project is starting as a collaboration between us and ET, but is committed to the community. Features are driven by what will push the community forward and make race events simpler and easier to run—whether that’s a spectate mode that can be viewed by any mobile device on the same network, or calculating and displaying an IMD score so organizers can make better decisions on which frquencies to use. It’s still an open-source project so community participation, discussion, and contributions are welcome. Finally, the process of acquiring and assembling your own system can be daunting, and one goal is to provide resources to make it as easy as possible. 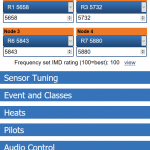 Current race stats are visible to any connected device. It’s easy to see the difference in approach to the front-end as soon as you connect for the first time. RotorHazard puts emphasis on having a responsive and usable interface. Controls are organized into collapsible panels and operate with little to no delay. Every page receives real-time push updates from the server, so all spectators see times appear as they come in. The color, size, and contrast of the UI are optimized for desktop and mobile devices, making it as easy to run on a laptop as it is from a phone. These are customizable so your local group can keep its favorite color scheme. Audio callout options can be configured for what your group wants to hear: just the lap number, or the lap time, or the time elapsed/remaining. No longer will the timer miss multiple calls that come in at the same time, and priority is given to time-sensitive calls. Graphing node history and visually seeing trigger positions takes the guesswork out of node calibration. The Delta5 has a solid hardware base that made it good at pass-to-pass accuracy outdoors for high-speed quads. 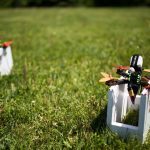 When we reviewed the code, we found a number of ways to improve the accuracy in different environments and situations, such as slow-speed micro quad racing inside a metal building. 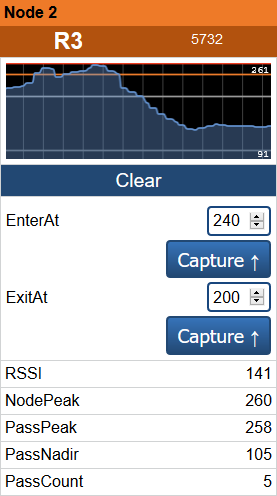 To do this, several software mods are employed including easy access to RSSI smoothing (signal filtering), node-peak averaging during the pass, and server response time compensation—adjusting for the lag between the button press in the interface, the timer’s start signal, and the response from the timer so the interface can signal a race start. 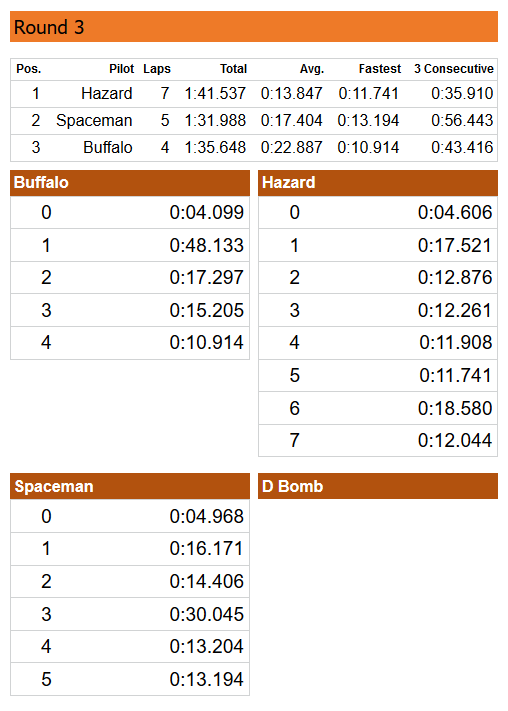 With this update, the ‘race start’ time becomes reliable and hole-shot times are accurate. Drag racing is now possible. There’s also a periodic time re-synchronization against the server. Browsers aren’t very good at keeping time, so this check-in keeps them accurate. Another benefit of this? The race clock survives a page reload or spectators joining in the middle of an ongoing race; RotorHazard is ready for endurance racing. Perhaps the biggest failing of most low-cost timers is the lack of race history. It’s impossible to run an event on these without a lot of separate bookkeeping in a spreadsheet or on paper. RotorHazard provides some simple but highly effective tools that can make quick work of event setup. At the forefront are race statistics. 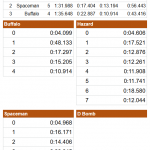 Every race displays the fastest lap, total number of laps, and best three consecutive laps together among others. 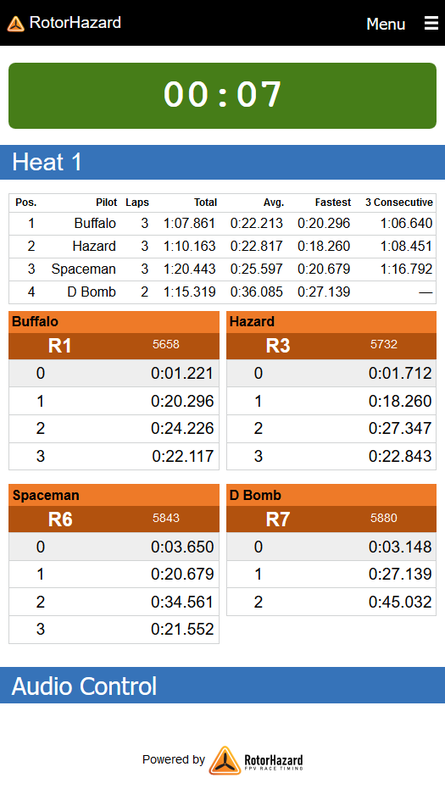 You also get summaries for each race heat across multiple rounds, leaderboards for each race class, and a leaderboard detailing the entire event. 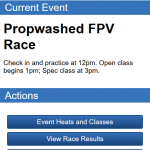 Race classes often use different race formats. 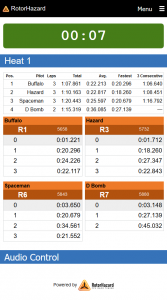 You can set these up beforehand and simply switch to the appropriate one to jump between open qualifying, a timed race to the highest number of laps, or a first-to-3-laps format, among others. For something a little different, basic support for team racing is implemented as well—this will certainly expand in the future. With a focus on community, an obvious addition was a spectator page and improving the display of event information. 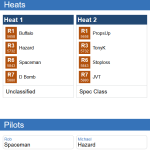 Racers and spectators can log in to see which heats have which pilots, and get real-time updates on the current race. The spectator page allows selecting one pilot (or all pilots) to read out lap data, so plug in your headphones and get only your own lap times read to you as you fly, if you’d like. Today’s RotorHazard release is only the beginning. There’s an extensive list of future development plans, but highlights include more accuracy improvements, and offline review of race data after you disconnect from the event system and head home. There are also plans to flesh out the documentation and provide improved build guides for the hardware so that acquiring parts and getting started becomes simpler than ever. RotorHazard will always remain free and open source. It looks to fill a niche between “personal” timers that lack the power to run simple events and hard-hitting commercial solutions with more features and power than many groups will ever need (and more cost than they can ever afford). We encourage contributions to the project so that we all can own it together. Even if you don’t have coding experience, you can post an issue or a feature request if you have one, or we can use help with things like writing translation files to localize the interface for other languages. You can also discuss the project on Facebook. It makes sense to develop RotorHazard in its own fork in order to push forward the most important features for this group without the need to maintain support for other parts important to the Delta5 project, such as the LiveTime integration. We expect that RotorHazard and the Delta5 can and will mutually benefit from the others’ development—that’s what open source is all about. We’re excited to see where the project leads, but more so to get quality timing and event management into your hands: the awesome community of pilots and race organizers. A development version has already been used to successfully time Nationals in the Philippines. We couldn’t be happier to see our work helping to build up the sport like this. 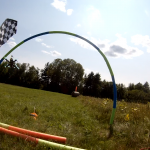 Join us in building RotorHazard into the FPV race timing and event management system that our community deserves.